60s Wise Beyond My Years! 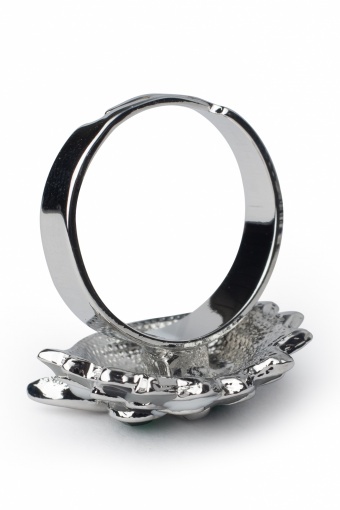 Cute Owl ring silver. 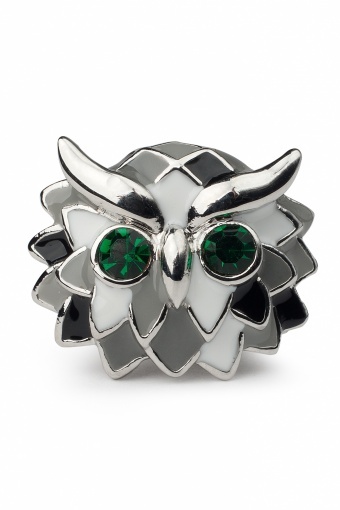 This cute 60s inspired owls head is enamelled in stylish black/white&grey. 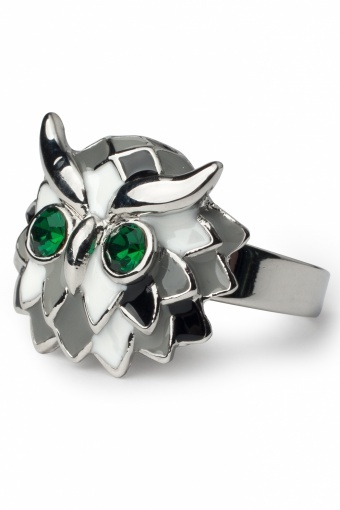 Beak and "eyebrows" are left in shine silver and in it's eyes two mysteriously shining emerald green rhinestones. Utterly cute!